B’s Kafé is a cafe where you can have breakfast in the center of Sapporo. 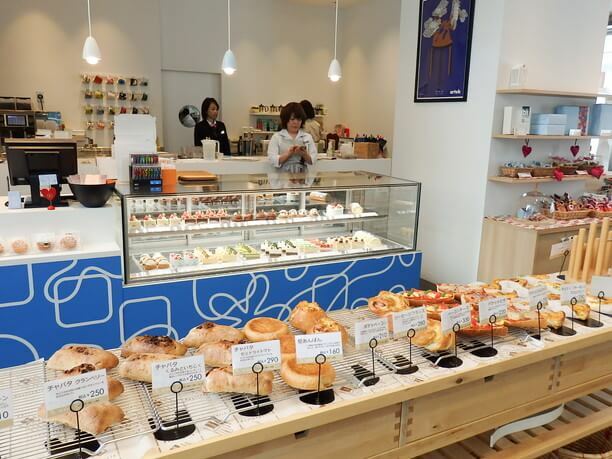 Sapporo’s popular patisserie “B’s Kafe’ is a fashionable space with Northern European tasting bread and sweets that has gained overwhelming support from women. 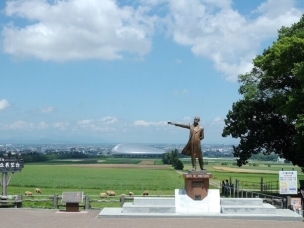 It is wonderful to start sightseeing in Hokkaido after a breakfast with fresh bread. 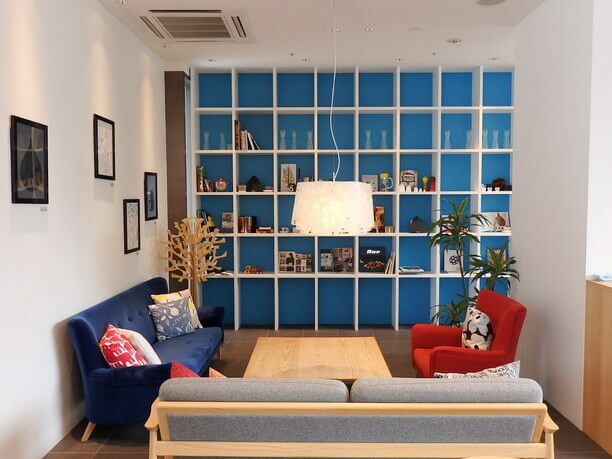 B’s kafe’ is a fashionable shop that combines Hokkaido and Northern Scandinavia food to create a space popular with females! 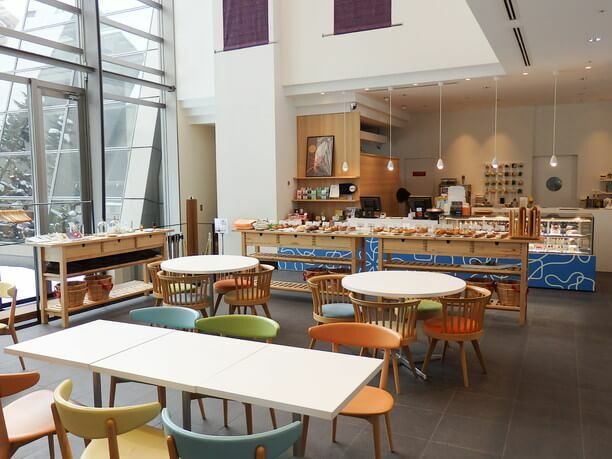 B’s Kafé is a cafe space on the 1st floor of Sapporo Tobu Hotel in the Susukino, Sosei River East District. After walking about 3 minutes from Higashitoyo line, Housui Susukino Subway Station, you will see the entrance facing the Sosei river. The interior of the shop has a high ceiling, and a luxurious design that is unique to this hotel. One side is all glass and provides plenty of sunlight into this bright and open atmosphere. You will find bread on the counter and sweets on the showcase. This shop is all about bread and sweets! 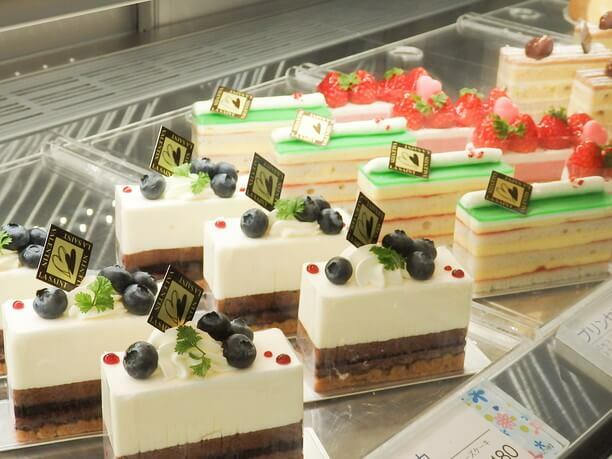 Everything inside the store is produced by Sapporo’s popular patisserie “Benbeya.” It is a cafe where the taste of Hokkaido and Northern Europe tastes merge. Enjoy their limited breakfast menu with bread as the main item! There are two types of morning offerings. Both of them are healthy and voluminous sets with salads and drinks etc., with bread baked in the store as the main item. 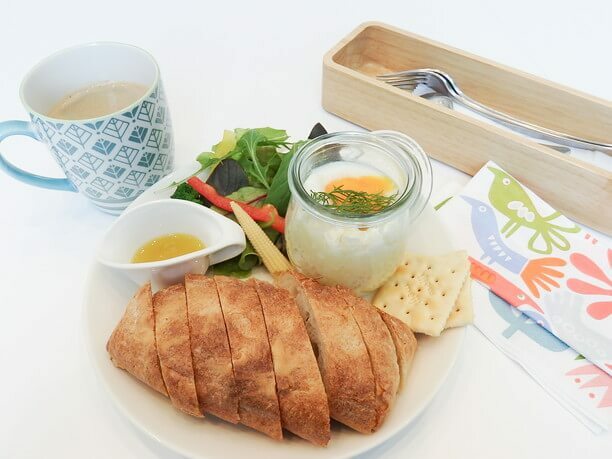 The first one is “B’sez Morning Set (1,100 yen).” It is a set with vegetable salad, yogurt, baked confectionery and drinks on today’s bread. Salmon quiche, croissant, cinnamon roll, etc. are offered in both types. 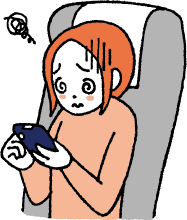 The second type is their “Egg Slat Set (1,000 yen).” It is a set of egg slats (popular with celebrities in Los Angeles), plain chabata, crackers, salads, and drinks. You can enjoy mixing the roasted mashed potatoes and semisolid eggs, with the bread. You can choose from six types of drinks, such as coffee (hot or iced) or orange juice. Recommended is a blended coffee of “Tokumitsu Coffee,” which has its head office in Ishikari city. Visiting the site, buying coffee beans and self-roasting your coffee is a popular way to enjoys its aroma and deep flavor. 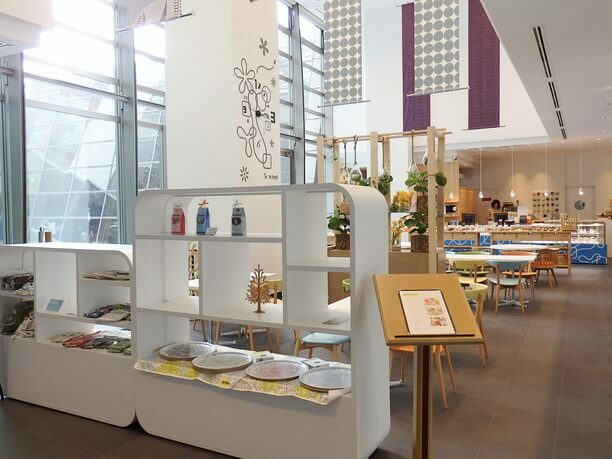 “Benbeya” is a patisserie with its head office in Sapporo’s Teine ku area. Their sweets made from high-quality materials from Hokkaido are some of their more popular items. 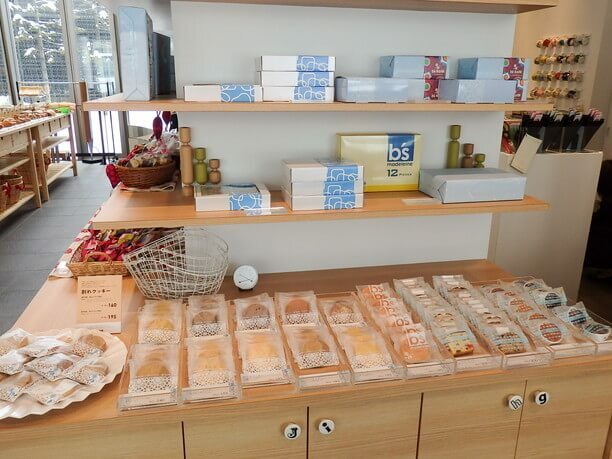 The breads and sweets of B’s kafe’ produced by Benbeya have an authentic flavor unique to their shop. They offer about 20 kinds of baguettes, quiche, fruit danishes, cinnamon rolls, etc.. In addition they offer around 15 kinds of shortcakes, tarts, puddings and so on. 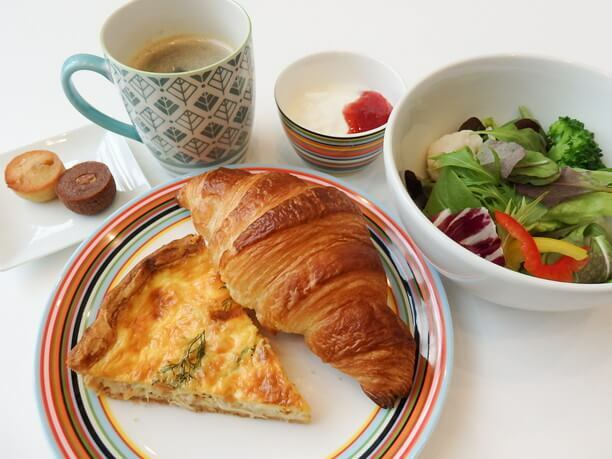 Once you order a breakfast menu, you can add bread at 200 yen per piece. You can order bread separately and take a light breakfast, or eat cake as a dessert. Bread and cake can all be taken out. They also serve cookies and chocolate, with a rustic and gentle taste. 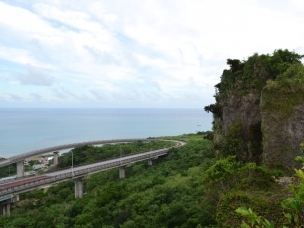 It is recommended for souvenirs as well as for a treat for yourself. This Cozy store is outstanding! 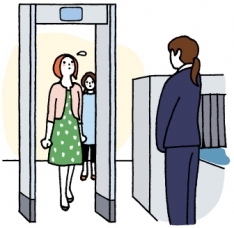 Female customers account for over 90% of the cafe’s customers! The reason is that it is a comfortable space where women feel free to sit and have conversation. With Its high ceilings, and plenty of seats this place is overflowing with a sense of openness! The furniture’s combination of smart design and functionality are outstanding! Wherever you sit, you can relax! The sofa seating in the back of the shop is especially comfortable. The interior is laid out in such a way that every table feels like it is a casual private room. There are many women groups who converge on the sofas and chat. It is also a popular space for families with small children. The sundries displayed in the store are also on sale. 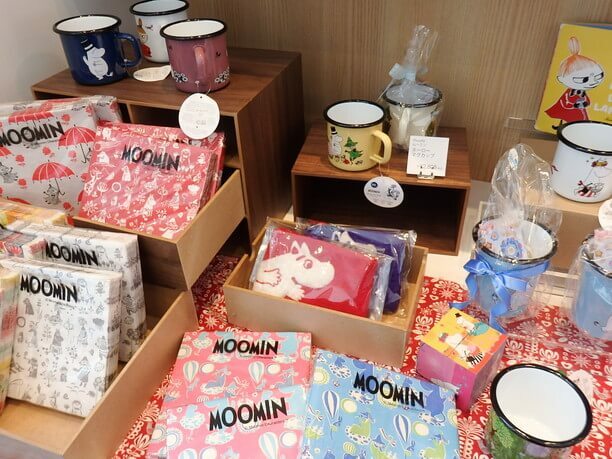 You can enjoy yourself looking through all of the fashionable goods such as Moomin goods, dishes, and stationery. There are few tourists here because it is in Tobu Hotel which is a bit far away from the center of Sapporo. It is the perfect place to enjoy a quiet, wonderful morning! 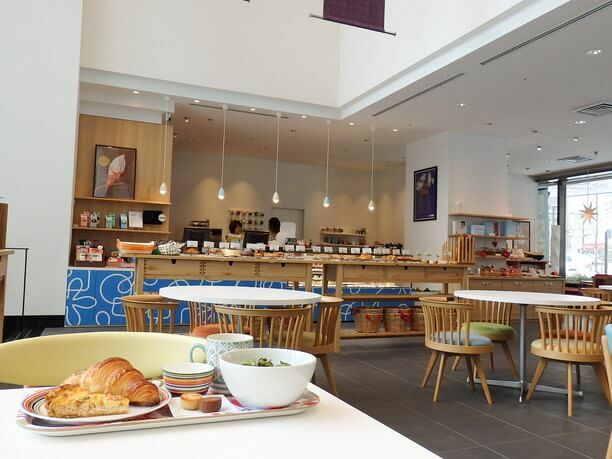 You can enjoy your morning eating bread produced by Sapporo's popular patisserie. This fashionable space with Northern Europe taste is very popular among women. It is calm and relaxingly a shop for a well-informed person. Open from 7 a.m. to 9 p.m., the menu changes depending on the time of day. We also recommend the lunch bread buffet and dinner. 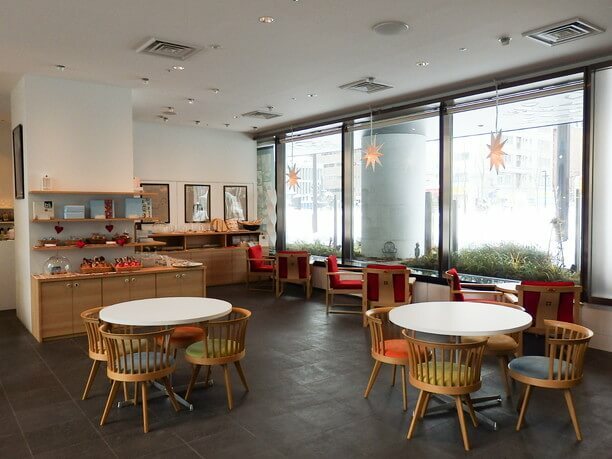 This is a well-catered cafe where you can enjoy delicious bread breakfast. Everything in the store is stylish where you can not help feeling "cute and fashionable!" In the Susukino area of Sapporo you can buy bread and sandwiches any time of night!